Has Brexit affected the property market? Following the referendum vote, many housing market "experts" voiced their concern over what lay ahead and the potential uncertainty in the economy. Following the referendum vote, many housing market "experts" voiced their concern over what lay ahead and the potential uncertainty in the economy. Admittedly, the immediate weeks after Brexit were difficult and quieter as potential purchasers put their plans on hold to see what affect the vote to leave would bring. The reality was that property transactions in both July and August remained strong. 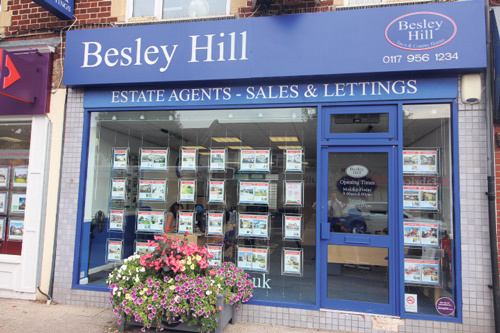 Besley Hill in Downend recorded over 20 sales during this period and were instructed to market over 30 properties, proving that buyers and sellers confidence still remained high. We were given instructions to advertise a wide spectrum of different styles of property, which included retirement apartments, flats, various sized houses and bungalows. Applicant registrations showed an increase from previous months, together with higher viewing numbers which usually show a decrease historically during the summer months. Recent data from the Royal Institution of Chartered Surveyors suggests that sales and prices are expected to rise in the coming months. The Bank of Englands decision to cut interest rates in August to 0.25%, providing this drop is passed on by lenders to borrowers should help to keep activity at a good level for the rest of this year. House prices are always a difficult to predict, however due to the recent volatility in the financial markets and the continued low interest rates, it suggests that bricks and mortar remain a comparatively sound investment. If you would like any advice on the buying or selling process, please contact us on (0117) 9561234.